Okay, so far the blog’s been about ghosts, secret tunnels, Bigfoot and Star Wars. Everything but Fort Worth, right? Allow me to rectify this situation. The best cocktail available in Fort Worth is, hands down, the fabulous Mambo Taxi from Mi Cocina. 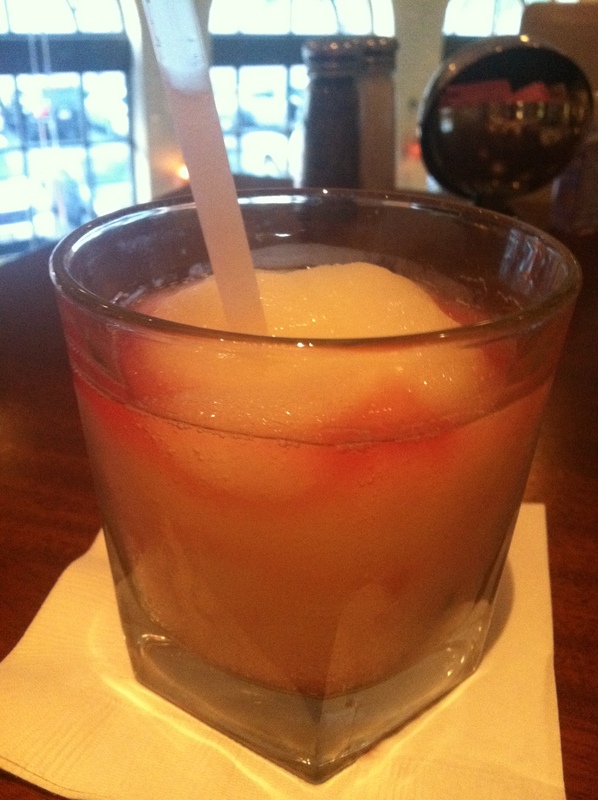 It tastes like margarita, sangria and a little bit of heaven all swirled into one glass of frosty goodness. There’s also a version called the Mambo Limousine but that’s just a Mambo Taxi in a bigger glass. Trust me, you’re going to want to go with the Taxi. These things are potent. Mi Cocina also has amazing salsa, but I digress. Behold, the King of Cowtown Cocktails: the magnificent Mambo Taxi. I think it’s called a Mambo Taxi because you have to call a cab if you drink more than two. Kang: That was only moderately funny at best. Kodos: Agreed. We shall activate the Destructo-Ray…. right after some final probing. Quick, locate the one they call Justin Bieber. and here I did all my elbows on the bar rituals speaking in tongues to Jack Black when all the time it should have been a cab that danced? who knu?